Home » Stop The Press » Goodbye, Tomcat! Here’s one story that’ll make me feel nostalgic about the good ol’ times for quite a while. 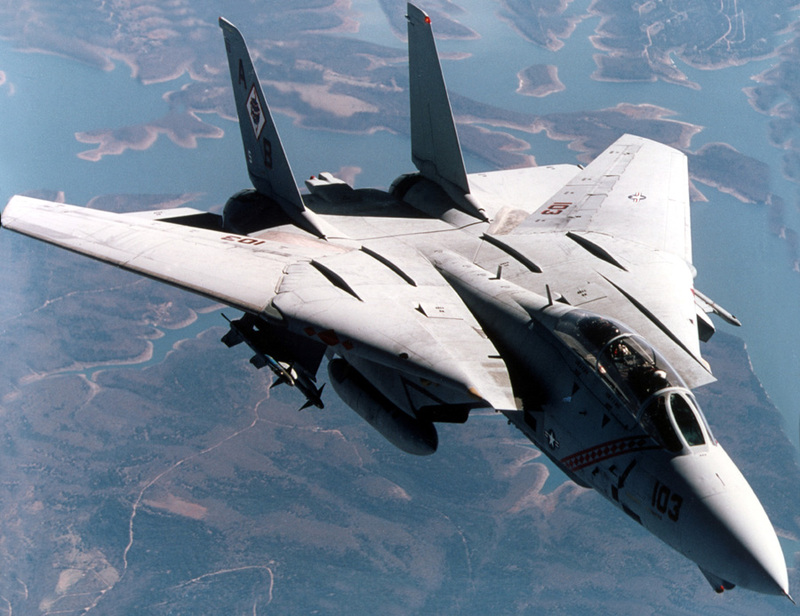 The F-14 Tomcat fighter jet was retired recently from active service. Sure, compared to others right now, like the F-18 and the F-22 it’s pretty much a lame cat, but still, with its superior dogfight capabilities and a variable geometry wing that gave it the edge in supersonic combat, it’d a thing to miss from the skies. It is being replaced due to the fact that it develops frequent mechanical problems, apart from the fact that it requires a LOT of maintainance to keep it ‘up there’, compared to more modern jets. There’s a site dedicated to the event too, here. Another reason, and a pretty strong one for me too, is its connection with the iconic movie, Top Gun. Now, it’s no deep-n-dark secret that I like Tom Cruise, and without him the movie quite wouldn’t have been the same, but the F-14 was a star too. A perfect complement to Maverick’s maverick-ness. It really is one of the movies that never goes stale, and the antics put up by the Tomcat are surely pretty interesting, as all who would’ve seen the movie would say. This is one (Tom)cat that really set the cat amongst the pigeons during the Cold War. The lyrics of Danger Zone keeps popping up into my head all the time, and now, it’s reaching a crescendo. The only place now left for this workhorse is Iran (where it’s pretty much mothballed), the museum to be admired by generations to come, and our minds and hearts, which it has so skillfully won over.